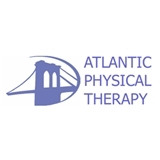 Atlantic Physical Therapy (Brooklyn) - Book Appointment Online! Atlantic is the Best First Choice for Physical Therapy. You'll achieve more by teaming up with us. We create healthy, engaged and happily loyal patients. We strive for a friendly environment, free from stress and pain. Very professional and experienced and very nice. Would highly recommend.